This issue more than makes up for the snooze-fest that was last month's BPRD, and manages to bring my excitement back up to the level it was at during "The Warning". 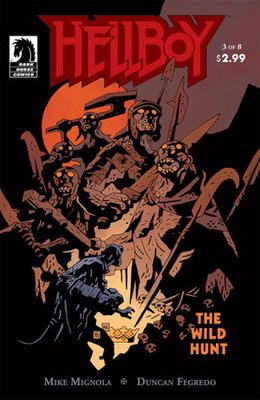 We actually see quite a bit of action and plot development in this issue, with the BPRD and a sizable military force going to Russia to find the location of Gilfryd's lair. We also get a reunion with Liz and some hints to her involvement with current events in the BPRD universe. And finally, we get the beginning of another gigantic frog attack, and the beginning of what looks to be one of the biggest BPRD battles yet. 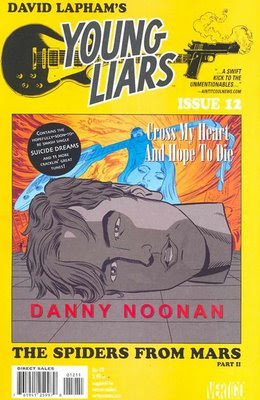 The first thing I want to comment on is Kevin Nowland's cover art, which is just beautiful; I certainly wouldn't mind seeing more of his work on the covers of future issues. Guy Davis' art inside the issue is also very nice this month; especially the dark and moody scenes inside Gilfryd's hideout. 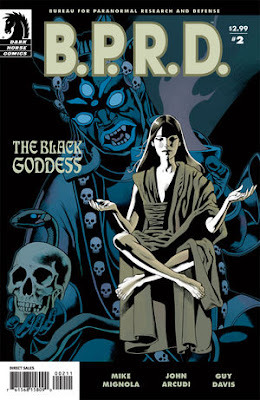 Mignola and Arcudi seem much more on the ball than they did in the last issue; the pacing is great and the contrast between the two simultaneouly transpiring events isn't overstated. I'm interested to see where things go from here, but it looks like we'll be getting to see quite a bit more of Liz from here on out.